Benefit Revolution: How Far Will $100 Go in Your State? 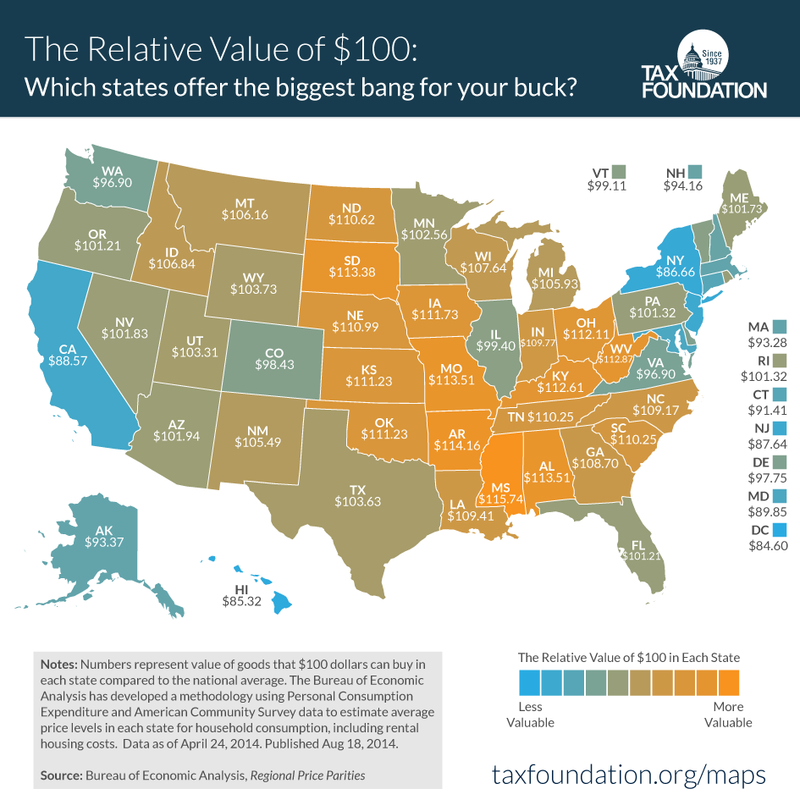 Economists at the Tax Foundation have developed a map detailing what $100 is worth across the United States. $100 is worth much less in Washington, D.C. ($84.60), Hawaii ($85.32), New York ($86.66) and New Jersey ($87.64) than it is in Mississippi ($115.74), Arkansas ($114.16), Missouri ($113.51), Alabama ($113.51) and South Dakota ($113.38). In Mississippi money has a whopping 40% more buying power than in Washington, D.C.
Nominally, New Yorkers have much higher incomes than Kansans. But after adjusting for prices, Kansas residents have higher average incomes than New York residents. High incomes are often found in states with high prices, but not always: in North Dakota, for example, residents have high incomes but low prices. 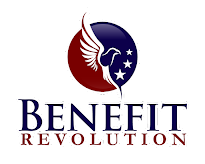 Source: Alan Cole, Lyman Stone and Richard Borean, The Real Value of $100 in Each State.